Guy Harris Jr. joined Spencer/Hines in the spring of 2015 after completing an internship with the company. He has gained knowledge and hands-on experience working with clients as their representative for the purchase or sale of commercial real estate. Guy sees technology as an indispensable tool when assisting his client’s needs for information and marketing purposes. 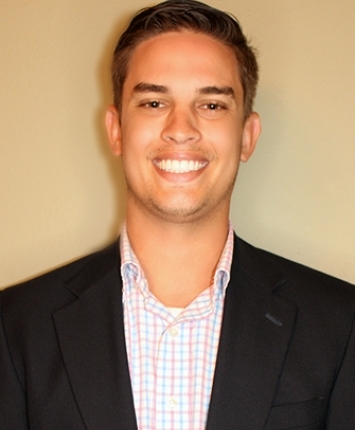 Guy graduated from Bob Jones University in May 2015 with a Business Degree and attended Wyatt School of Real Estate to obtain his Real Estate License. He enjoys working with and mentoring youth in the community. He is currently the men’s soccer coach at Westgate Christian School as well as a coach for Carolina FC Soccer Club. He and his wife Elise serve and work with the youth at Grace Community Church in Moore. In addition, Guy enjoys hiking, fishing，playing soccer and golf.